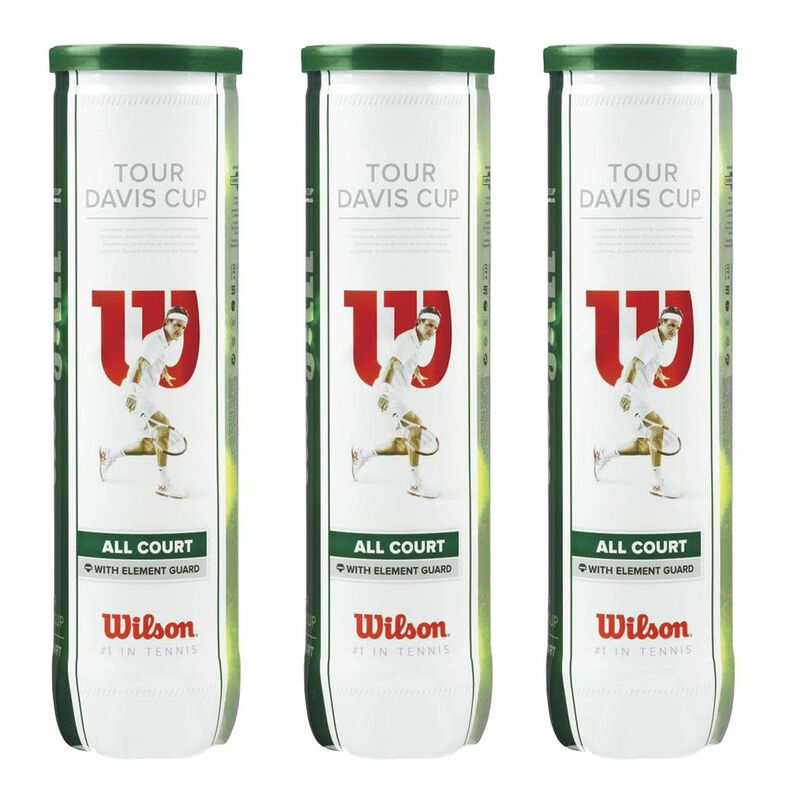 The Wilson Tour Davis Cup are the Official Balls of one of the most prestigious tournaments in the world. They are a great choice for hard hitting players who look for a consistent bounce ensured by the nCore technology. These quality tennis balls incorporate an exclusive premium felt that features the AquaShield™ technology, which makes them moisture resistant and thus suitable for playing in various weather conditions. The balls are sold as a 6-dozen pack (18 x 4-ball tubes). 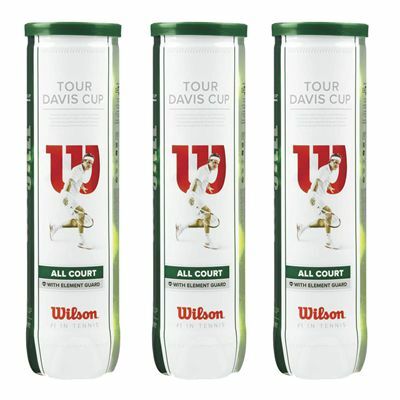 for submitting product review about Wilson Tour Davis Cup Tennis Balls - 6 Dozen.